Making Bitcoin transactions AML-compliant is not trivial but quite possible. Of course, it might appear to be an overwhelming challenge to non-technical compliance staff at first glance. Indeed, all beginnings are difficult. Obviously, the Business Acceptance Units (BAUs) of banks have to be trained in cryptocurrency procedures. As the world is at the dawn of Industry 4.0, banks and regulators that are still stuck in the early stages of the third industrial revolution have to finally get familiar with contemporary financial technology. Taking the step from the digital revolution to making smart data systems understood in public organizations and governments appears to be achievable. The individuals acting in the institutions already utilize core tools such as big data analysis and cloud computing in their private life. Bankers and Officials use the Web and Smartphones like anyone else so why shouldn’t they be able to apply their personal skills when dealing with digital challenges at work? Today's heads-down mobile generation, and especially Bitcoiners, can teach bankers extra lessons on the boundless possibilities in the current digital society while the financial establishment has to figure out the AML-part themselves if they want to be in on profiting from the fourth digital revolution. As we are living in a real-time world with the urge for instant gratification, banks regardless of their size will have to catch-up. Traditionally, the job of moving funds is business as usual for big banks but not necessarily for regional and local banks. 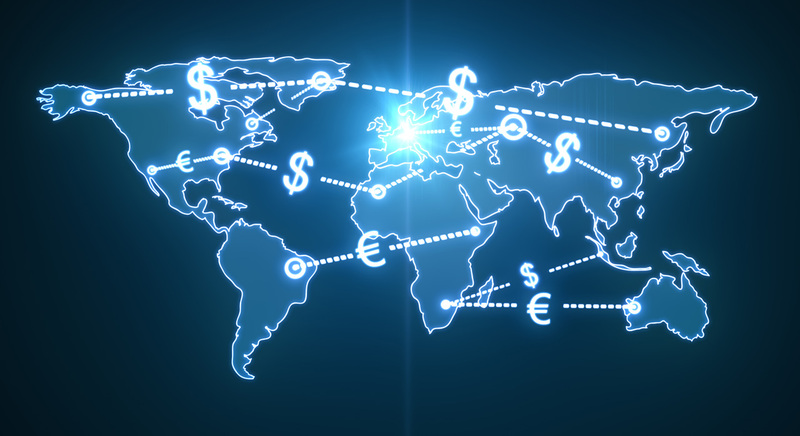 They are not adequately prepared to address AML/KYC-issues related to cross-border payments. The introduction of crypto currency will bring more international transactions to smaller banks because they become more accessible on a global level. Consequently, they will be able to reach out to new markets, and their staff will be forced to learn how to perform Know-Your-Customer (KYC) procedures remotely. Financial intermediaries moving proceeds from Bitcoin addresses to others will have to verify customers and the origin of funds. Subsequently, financial services providers will be required to store these details in private databases and follow specific privacy laws and financial regulations. Scrutiny on entities during the account opening process, and screening for restricted, sanctioned and prohibited individuals like Politically Exposed Persons (PEPs) are essential tasks of the banks onboarding team. These compliance obligations remain regardless of the technology used for transactions and whether or not it is Bitcoin or electronic banking. The conflict of interest between sales and due diligence regimes has to be mitigated through specific customer registration policies. From a compliance perspective, the job gets more complicated due to Bitcoin’s borderless reach. Technically speaking, making cryptographic cash AML-compliant is not an insoluble problem at all. The issue is more accessible with this example: the process of making Bitcoin accounts AML-compliant is a bit like making a numbered bank account AML-compliant. In the end, only the account holder and a few people at the bank know the true beneficiary. By utilizing cryptographic cash, transaction data becomes secure, and as a result privacy and funds of account holders are adequately protected. This method is by far better than the conventional way of sheltering bank account data or card details. With that said, Bitcoin technology has the potential to recapture trust from banking clients. P. Crosman. “Can You Really ‘Know’ a Customer Who Uses Bitcoin?” American Banker. December 1, 2015. K. Schwab. The Fourth Industrial Revolution. Amazon eBook. World Economic Forum. January 11, 2016. R. Grinberg. “Bitcoin: An Innovative Alternative Digital Currency.” Hastings Science and Technology Law Journal. Vol. 159, 2012.